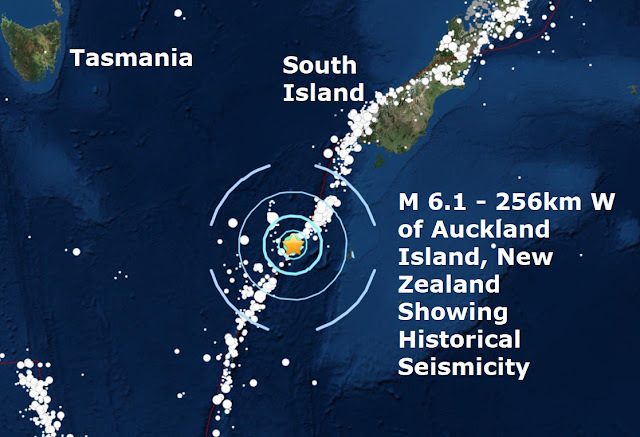 A shallow mag 6.1 has struck Aukland Island New Zealand and is only the 5th major quake of a very quiet, (so far) September, a mag 6.3 was also recorded in North Korea earlier in the month thought to have been caused by an explosion. This mornings quake is only the 71st of an unprecedented low total of major quakes in the 21st Century. last night another massive quake hit Mexico for the second time in 3 weeks, a mag 7.1 - 5km ENE of Raboso, Mexico came just 11 days after a massive mag 8.2 struck the west coast which was the biggest Mexican earthquake in 100 years. According to La Times, last night's quake came on the anniversary of a 1985 quake that did major damage to the capital. 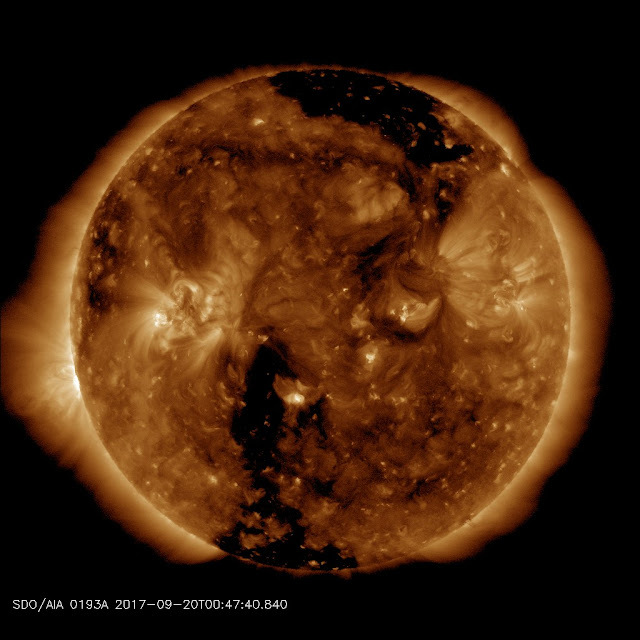 It comes as a new southerly Caronal Hole on our Sun turns to face Earth, see below.